SoCalGas® would like to recognize your efforts to conserve energy and your enrollment in the SoCalGas Smart Therm Program with a $50 incentive. This program will allow SoCalGas to make brief, limited adjustments to your thermostat this winter. You will receive an additional $25 for participating through April 1, 2019. To qualify for the program, the premise address provided for your thermostat must match your SoCalGas service address and the thermostat must control a natural gas furnace. 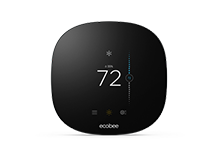 On certain days until April 1, 2019 when demand for natural gas is highest, your ecobee thermostat will be automatically adjusted by a few degrees for four hours. Usually on weekdays between 5am and 9am or 6pm and 10pm. Apply to the "SoCalGas Smart Therm Program". Signing up takes only a few minutes. After being approved, you will receive $50 for enrolling in the program. If you stay enrolled through April 1, 2019, you will receive an additional $25 for participating. Enrollment ends on March 1, 2019. 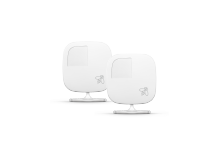 The SoCalGas Smart Therm Program is funded by California utility ratepayers and administered by Southern California Gas Company (SoCalGas®) under the auspices of the California Public Utilities Commission. Program funds, including any funds utilized for rebates or incentives, will be allocated on a first-come, first-served basis until such funds are no longer available. This program may be modified or terminated without prior notice. Eligibility requirements apply; see the program Terms and Conditions for details. 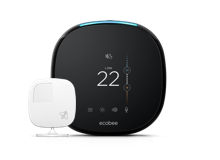 Customers who choose to participate in this program are not obligated to purchase any additional goods or services offered by ecobee or any other third party.